My name is Made, I am your Bali driver for today for your trip today to Banyumala Waterfall. As we start from Kuta at 08.00 Am, we will be reach the waterfall around 10.00-10.30 am, let see how the time and traffic goes.On the way to waterfall, we may made some stop if you love to, we may visit the Royal Family Temple, Pacung rice fields, Botaniocal garden, Candikuning fruits & vegetable market, Ulun Dhanu Lake Temple, Wanagiri with Buyan Lake and also see some monkey on the way drive uphill to Wanagiri hill. That is the short brief about our trip today Mr John, do you have any question. Well today weather look going to be sunshine, please bring your sun lotion, camera, towel, swim wear, if you want take bath at the Waterfall. Let me tell you about Bali in general, Bali is small island lies 8 & 9 degree south of equator with tropical climate and situated between the island of Java in the west and Lombok island in the east, if you want go to Java, we must drive via land to west of Bali and take a ferry from Gilimanuk port, its take about 40 minutes by ferry, we will be in Java or Jawa. If we go to Lombok, we may drive to Padang Bay port, we have daily ferry cruise to Lombok, its take about 4-5 hours or take the fast boat for about 2 hours, we will be in Lombok. The Population is about 4 million, with 90% of Hindu follower and 10% we have mix of Moslem, Christian, Buddhist. We are life in harmony and respect one each other we have high tolerance with Tatwam Asi teaching: You is me and me is you. Bali lead by Governor and divide into 8 Regency and 1 municipality. One of Regency that will visit is Buleleng Regency, located in the north of Bali which is offer many place to visit, such as: Lovina Black sandy beach for overnight and see morning dolphin tour, Banjar hot spring, Buddhist Temple, Sekumpul Waterfall, Gitgit Waterfall, Pemuteran Resort and many other we can see in Buleleng Regency. Now, we back to our main tour topic is Banyumala Waterfall. As I told you before, we need about 2,5 hours to reach the location, from the ain street of Wanagiri, we will turn right, we will be be at the parking area, then walk down about 15 minutes pass the natural stair with bamboo pool for handle, if on rain season, please wear good shoes, if wear the flip flop will be slippery. 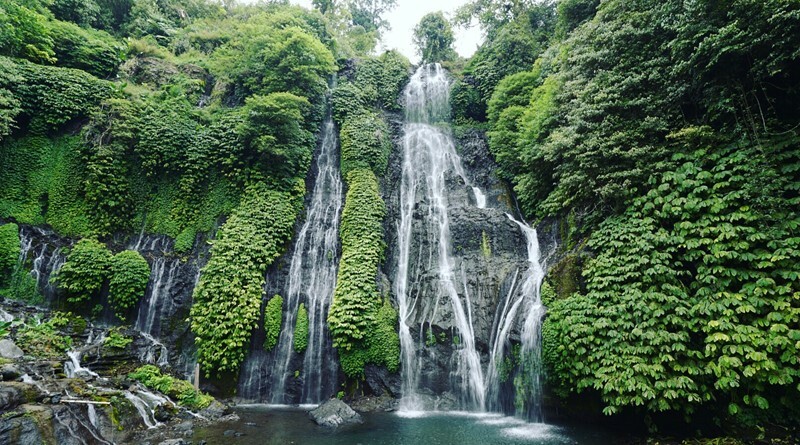 Once we arrive at the river side and waterfall, you will be welcome by amazing view of waterfall with green surrounding, and the waterfall look like twin, but there many falls. There many point for photo shoot, please find your best ankle for best photo shoot and if you want take bath and swimming, please take your time and enjoy the sound of the nature whispering. Read also : Take tour with our Bali Cab Driver to Lovina Beach north of Bali. What Others attraction Near Banyumala Waterfall? Its another 5 minute drive to southern part, we can stop here to enjoy the twin lake view of Buyan & Tamblingan Lake, We have many tourist stop here just for break on their way to Lovina or Pemuteran, while break the tourist may order hot coffee or tea as the weather here is cold and also the food stall served meals for your lunch like Fried rice, noodles and other simple food. 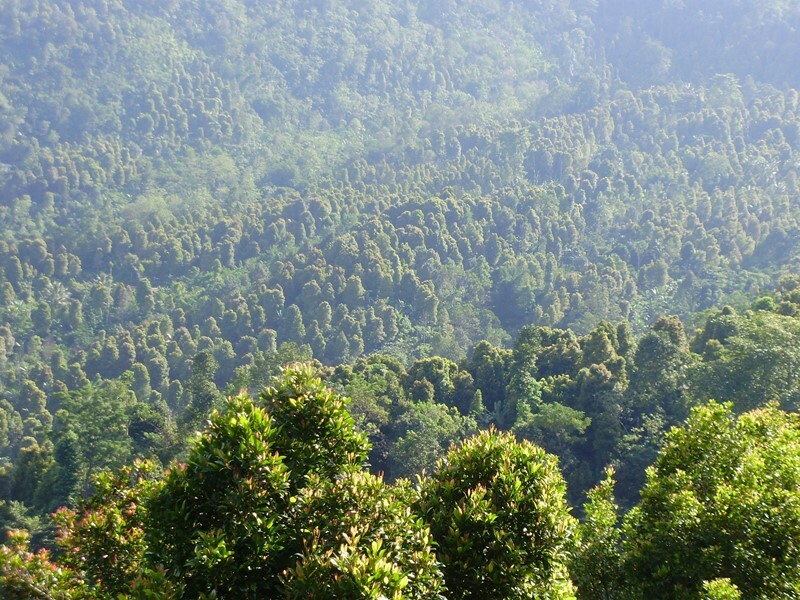 While you enjoy your tea, coffee or meals, we can see the mountain chain with thick rain forest. During sunny day, the view are amazing but some the misty come down and we can not see the view, sometime we have wait sometime till the mist gone. Its another 25 minutes drive down, we will arrived at Munduk waterfall, from parking area, we have walk about 15 minute into the clove. Coffee and cocoa plantation, then we will arrived at Munduk Waterfall, this waterfall more popular and familiar for tourist, but compare to Banyumala, Much more beautiful is Banyumala. 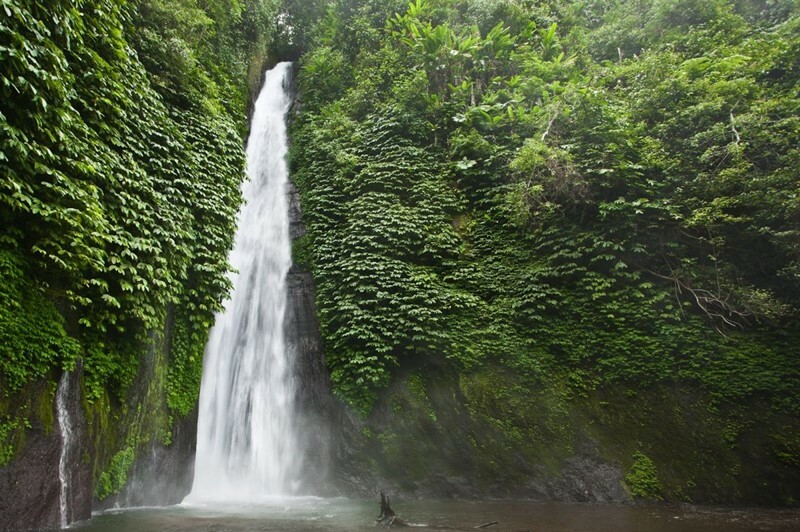 Many tourist who stay at Munduk village will come walk to Munduk waterfall as its located with walking distance. Its located another 30 minutes from Banyumala, Its located at 781 meter above sea level, cold and fresh air is part of this village with zigzag street is the way to reach Munduk Village, The view from the village is amazing with valley, clove plantation with breezing air. The Arabika is brought by Dutch around 1870 during invaded Bali, and around 1915 Robusta Coffee also start plan here, and around 1900-1960 Munduk become rich village with abundance crops. Now day Munduk is become the home of Clove Plantation. Since Tourism business grow in Bali, Munduk also take chance to be Tourism village where the start Homestay, Bungalow and now some nice villa can found in Munduk, we have many European tourist love stay here as they love natural beauty and away from hustling and bustling of tourism. Visitors who stay here can do trekking into the jungle, discover the waterfall and meditation also can do here. That is about our trip to Banyumala waterfall, we do hope you have a wonderful trip.